Many studies over the decades have concluded that over 40% of musicians do not have health insurance. Many of my colleagues and clients are in the same boat. With that in mind, how many musicians do you think have home, liability, disability or life insurance? A practice or arrangement by which a company or government agency provides a guarantee of compensation for specified loss, damage, illness, or death in return for payment of a premium. A thing providing protection against a possible eventuality. We must expect the unexpected because when you don’t “life” can crush you. When someone says “risk management” they are typically referring to insurance. Insurance may sound like a waste of money, but it won’t when the unexpected happens. I’m going to skip the horror stories and jump right into 7 forms of insurance for musicians, 6 of which you absolutely must have. At the very minimum health insurance can provide financial relief if you were to suffer a major accident, require a major medical procedure or have an expensive emergency room visit. If you are concerned with high premium rates (which is the amount you pay monthly for insurance) I will discuss a solution at the end of this post. All 50 states require auto insurance except Arizona, New Hampshire and Virginia. But, those three states do have other requirements including proving your ability to pay if you’re in an automobile accident. If you own a car you are legally obligated to have insurance, so get it. Finder.com gives a list of each state's minimum auto insurance coverage requirements, but your local insurance agent can easily set you up. Keep in mind the newer and more expensive your vehicle, the higher price premium you will pay for insurance. Home insurance is not always mandatory, but if you finance your home then the lender will most likely require home insurance to protect against fire, tornado, floods and other unexpected events. Assuming you put 20% down on the home the lender owns an 80% stake, so insurance is a no brainer for them. Renters insurance provides renter’s financial reimbursement to cover lost or damaged possessions as a result of fire, theft or vandalism. It also covers your liability in the event that a visitor is injured on the premises. Liability insurance covers your risk of being sued. Typically people sue when they are hurt or there property is damaged by someone else. An example might be your drum cymbal falls and breaks the bass players foot. In this case you are liable for his medical expenses and potential income loss they suffer during recovery. 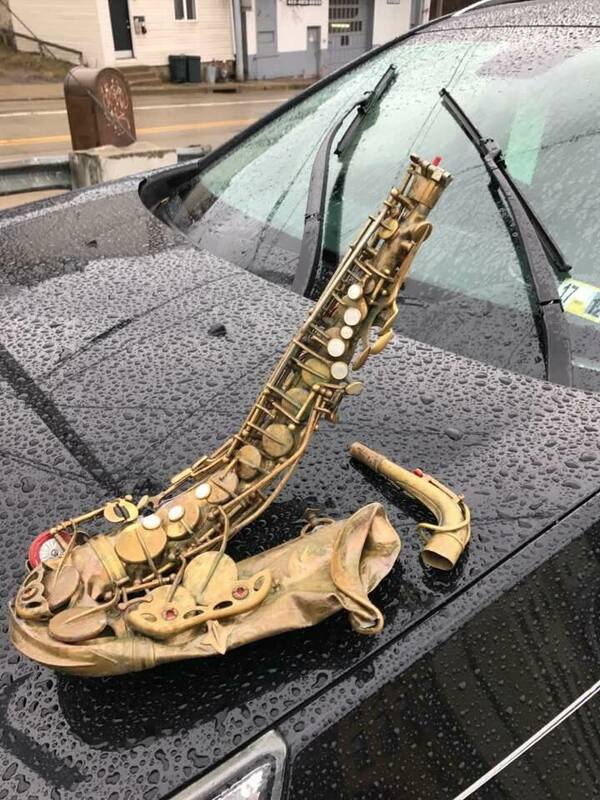 This is one type of insurance musicians rarely consider, but think about how many opportunities there are to hurt or damage someone else's property on the job? Liability insurance is usually attached to other forms of insurance for example you will most likely have it within your auto insurance plan in case someone in your vehicle or in the other vehicle is hurt. Learn about different forms of liability insurance here. What happens if you break your arm and have a big violin solo the next day? Or you fall extremely ill for 3 months and have to sub out of all of your gigs or teaching? This is by far the most underrated form of insurance and potentially the most important. If you are hurt or ill and can’t perform your musical duties, disability insurance will reimburse a percentage of your income depending on your plan. There are many variations of disability insurance, read here to learn more. Another underrated yet extremely important insurance for musicians. With the high cost of instruments comes the high cost to replace or repair them. Instrument insurance is incredibly cheap and you will thank yourself when the dog chews up your Stradivarius. I personally use and recommend Clarion Insurance for instrument insurance. This is the insurance that's a “maybe “ depending on your age and if you have dependents or children. Let’s say you’re married and/or have a child and you die unexpectedly. Your spouse or dependant will have to pay for funeral costs, potential estate/end-of-life proceedings, face the loss of your income and support themselves and the child's future. Life insurance relieves the stress and financial pain if the unthinkable happens. It’s an unfortunate subject to discuss, but necessary to the well-being of your family if and when you have one. Keep in mind when acquiring insurance you can typically bundle them together and earn discounts if you use the same insurance company. So if you’re still saying “I don’t want insurance, blah blah blah” then you can and SHOULD self-insure. This means monthly setting aside money to cover potential and unexpected events. Instead of paying an insurance company a premium you pay yourself into a seperate account. I hope this post was helpful to you. Send questions, comments and blog post ideas to [email protected]. P.S. Want to reduce your taxable income? 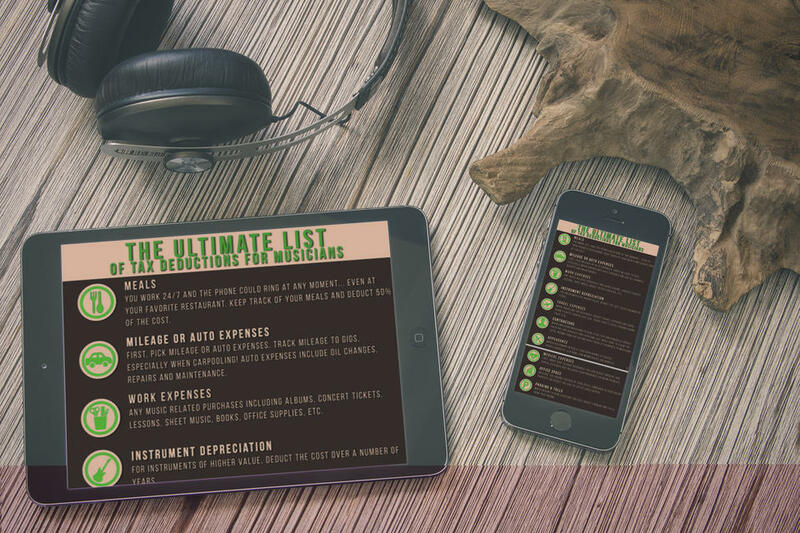 If so, you can download my huge list of tax deductions for musicians PDF for free!